I just got back from boxing a little while ago. The class was particularly intense today (which was awesome) so I wanted to make a lunch that had a good amount of protein. Lately, I've been making salads for lunch at work with avocado, egg, & feta. It is such a delectable little combo. Usually I only use one egg, but after today's class, I knew I needed a little bit more protein. 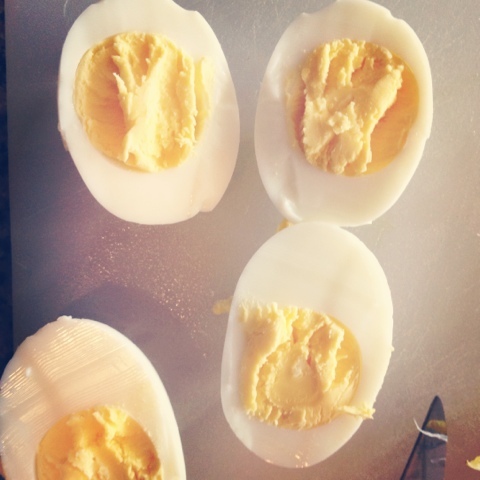 Eggs got a bad wrap for a while, but really, they are so good for you. New England Farmhouse Grown Tomatoes: Lycopene, antioxidants, vitamin C (I don't like buying tomatoes anywhere but USA). This time of year, local greenhouses are the way to go. USDA Organic Eggs: Choline & Protein. Choline reduces inflammation and is great for brain health. You've got to buy ORGANIC when it comes to eggs. Just the label "cage free" doesn't protect you. 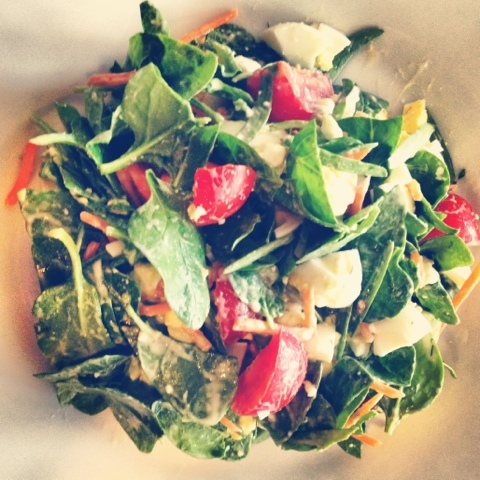 Organic Baby Spinach: Such a power food, you name it, it's in it. Fiber, Vitamin C, A, K, & the B's. 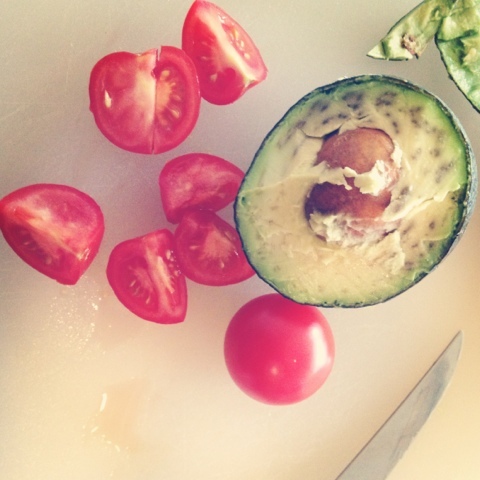 Honestly, just eating these pretty little tomatoes & avo with some olive oil would have made me happy. Sometimes, I get the boil perfect. Happy little eggs. Finished product. I dressed it with lemon juice and a yogurt feta dressing that doesn't have any preservatives or nonsense oils in it. I found it at foodies. I should have taken the photo before I dressed it, it was really quite pretty before. Have a fabulous weekend. xo.